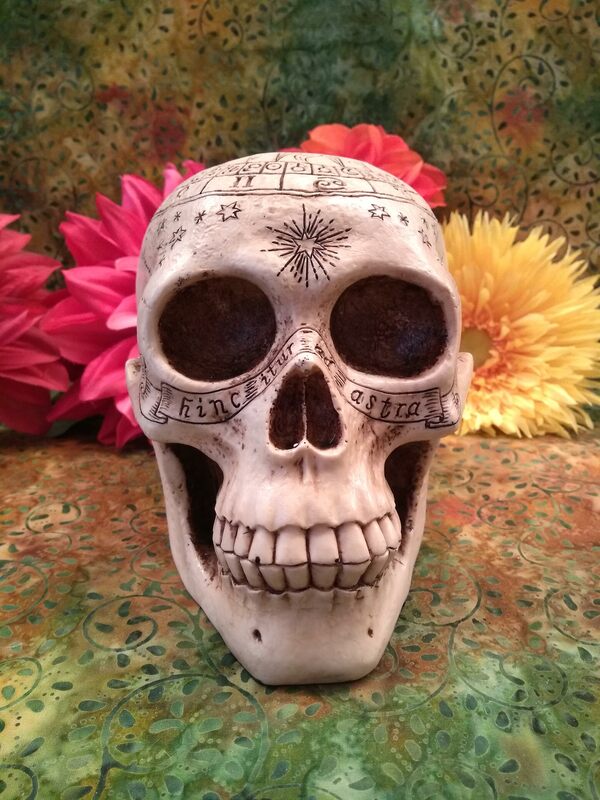 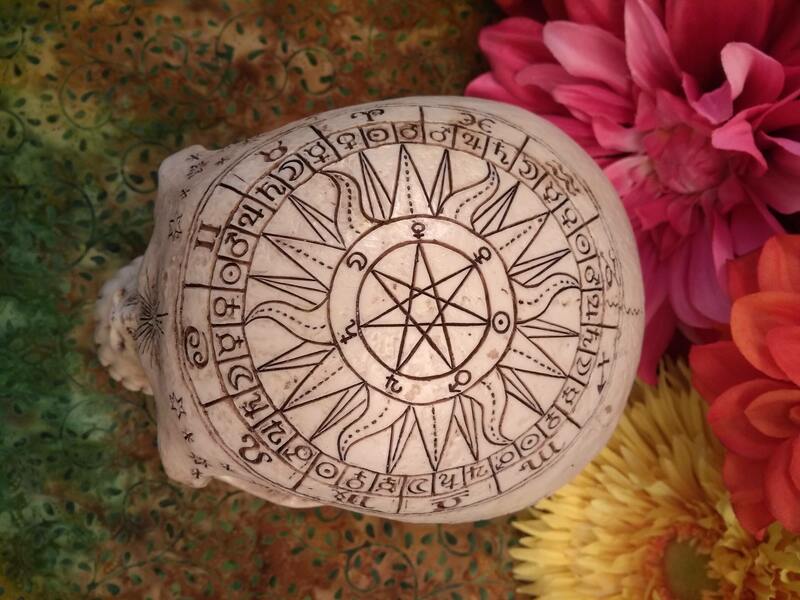 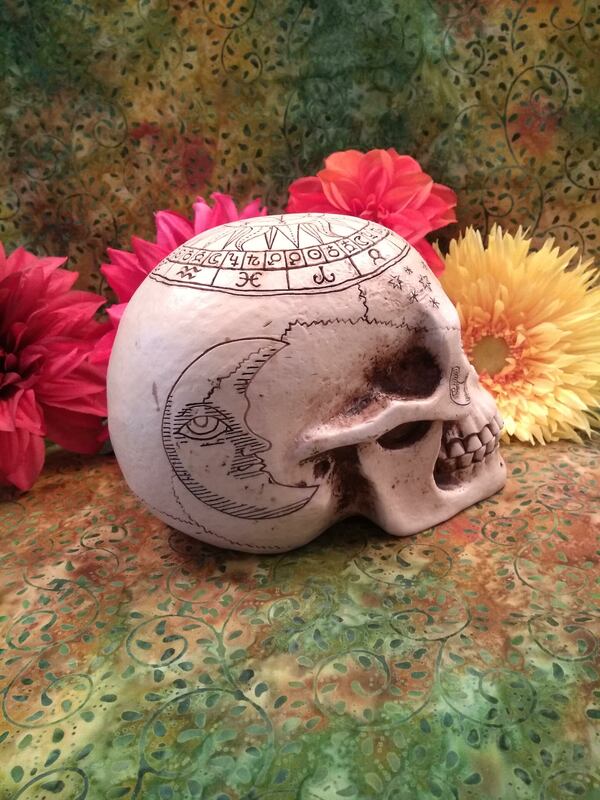 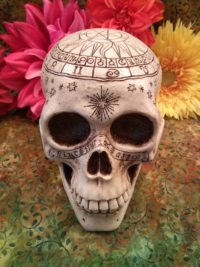 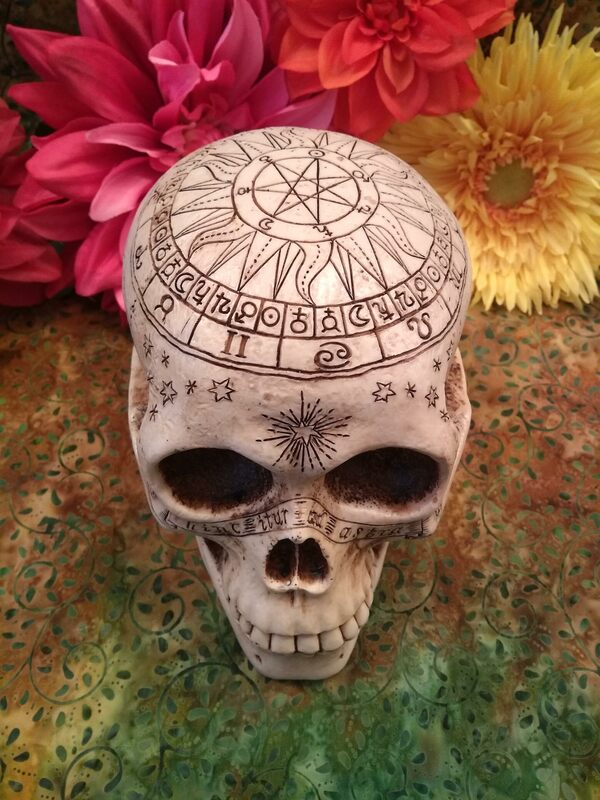 Beautifully carved astrology skull. 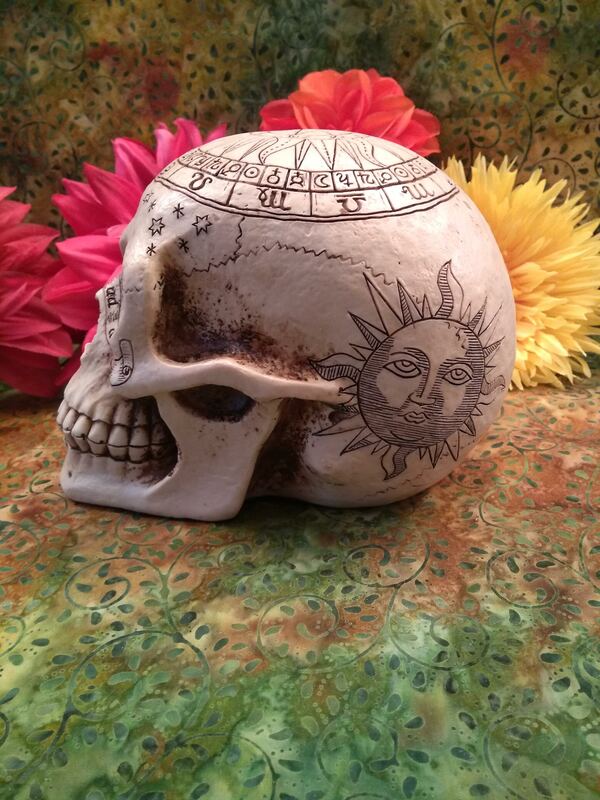 Moon and sun on the sides, celestial stars across the forehead, full astrological calendar on the crown. 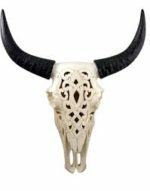 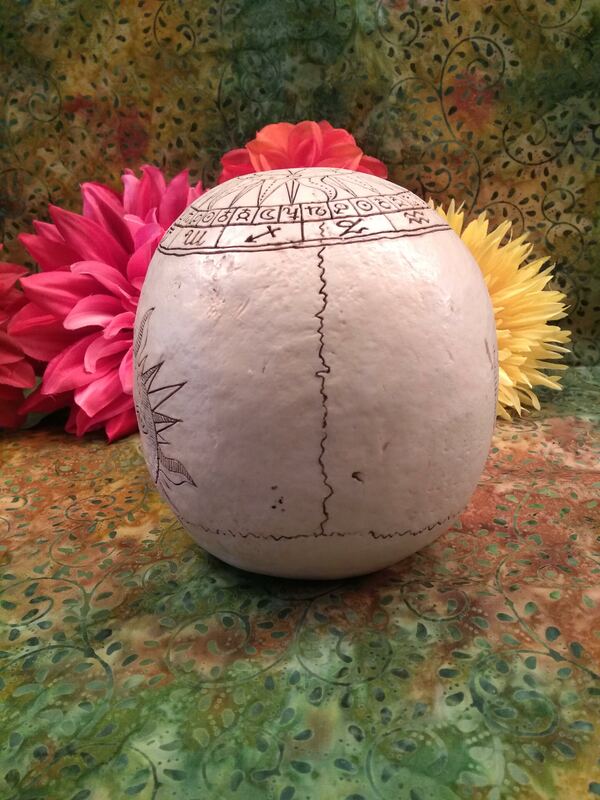 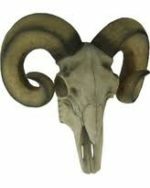 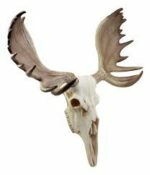 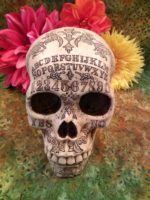 Skull measures 7.5″ long, 5.5″ wide and 5.5″ tall.